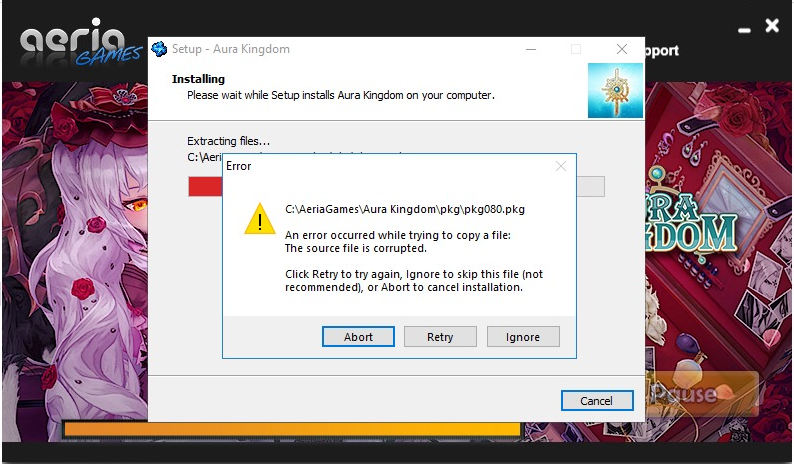 Having trouble downloading the game through the Aeria Games Aura Kingdom Web client like this error, and you don't wanna download through Steam? The minimal client is the thing for you! What is a minimal client installer? It consists of Aura Kingdom's game launcher and a few configuration files and acts as an alternative web client downloader for the whole game itself. Once the Launcher is ran, it will automatically download all necessary files needed for Aura Kingdom to work. The file has been approved by the Staff as an alternate way of downloading the game without the use of the web client and Steam. Hopefully, this helps and works out for you! Disclaimer: The file itself was provided by someone back then in the old forum before it was deleted. If anyone knows who they were, please let me know below so we can credit them properly. Thanks! Please post in only one thread. You have been replied to here.